Having started the decade as All-Ireland and Division 1 champions, Cork will finish it as a Division 3 outfit after Clare's barnstorming win in Tipp relegated them yesterday. 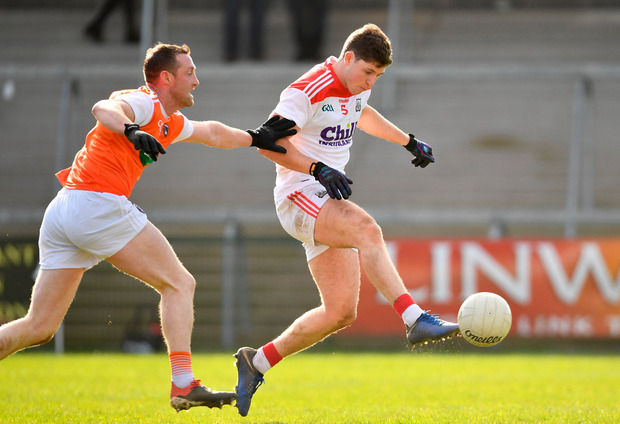 Cork did all they could to save themselves, with a much-improved display to beat Armagh in the Athletic Grounds, but it was a hollow victory. 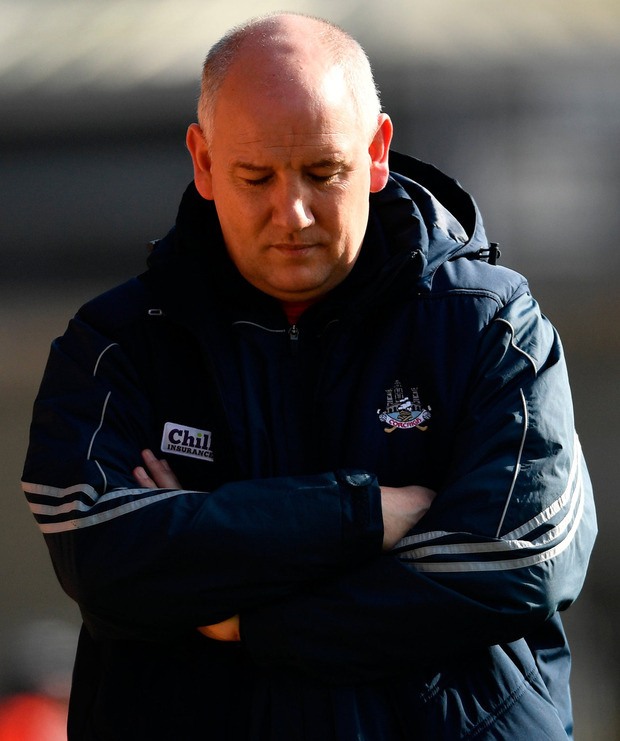 Ultimately, the Rebels' abysmal home form was their downfall. "We were dependent on other results and the fact we were in that position was our own fault," admitted Cork boss Ronan McCarthy. Trend "We had four away games in the league and took five points out of eight - and none at home. "That has been a trend so look, our home form has let us down but there are talented players here. "They do all the right things, they're eager for success and we'll keep working away with them." 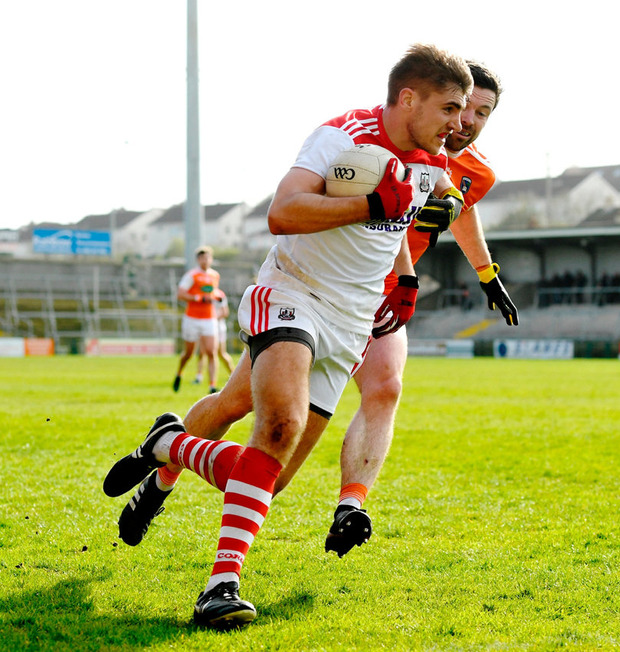 Armagh were already safe in Division 2 and their first-half performance suggested as much. They were poor and trailed by eight points at one stage, but were better in the second half. Cork led 2-6 to 0-6 at half-time with two early goals from Brian Hurley the highlights of a whirlwind start when they hit an unanswered 2-3 in an eight-minute spell. Armagh outscored Cork by six points to one in the third quarter before Kevin Crowley's well-taken goal in the 61st minute steadied the ship. Joe McElroy was fouled in the square and Jamie Clarke dispatched a late Armagh penalty. Scorers - Armagh: R Grugan 0-6 (5f), J Clarke 1-0 (pen), R O'Neill 0-3 (2f, 1 m), J McElroy, A Forker, J óg Burns, J Hall, N Grimley 0-1 each. Cork: B Hurley 2-0, K Crowley 1-0, M Collins 0-3 (1f), E McSweeney 0-2, C O'Hanlon, J O'Rourke, D Gore, C Kiely 0-1 each. Armagh - B Hughes 7; P Burns 8, B Donaghy 7, P Hughes 6; R Kennedy 6, J McElroy 8, A Forker 7; J óg Burns 7, N Grimley 7; R Grugan 7, C Vernon 6, J Hall 7; E Rafferty 8, P Casey 7, S Campbell 6. Subs: J Clarke 7 for Campbell (29), R O'Neill 7 for Vernon (44), J Morgan 7 for Hughes (51), A Nugent 6 for Casey (58). Cork - M White 7; K Flahive 7, Thomas Clancy 7, C Dennehy 6; K Crowley 7, Tomás Clancy 7, M Taylor 6; I Maguire 7, C O'Hanlon 7; E McSweeney 7, J O'Rourke 7, R Deane 6; B Hurley 7, M Collins 8, S White 6. Subs: K O'Driscoll 7 for O'Rourke (26), C Kiely 7 for Taylor (h-t), D Gore 7 for Hurley (48), P Kelleher for McSweeney (66), S Cronin for S White (70).